US President Donald Trump has discussed with Defense Secretary Jim Mattis on Thursday the possibility of the Pentagon funding the construction of the wall on the Mexican border. The United States is testing several prototypes of stretches of the nine-meter-high wall to be built on the southern border of the United States to prevent the passage of immigrants and smugglers. "The wall has a good face.I was very good at construction.It was always my specialty.I think more than being president.It was good at construction," Trump told a crowd in Ohio. Throughout his campaign and the first year of his presidency, Trump insisted that the vast project would be somehow financed by Mexico, an idea that the neighboring government quickly discarded. And since the American president was unsuccessful in getting the $ 25 billion from Congress, he turned to the Pentagon in hopes of securing the resources of the Defense budget. "Thanks to the $ 700 billion to $ 716 billion made to rebuild our military, many jobs are created, and our military is rich again," Trump tweeted on Saturday. 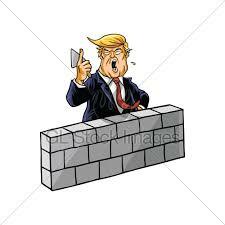 "Building a good border wall, when drugs and enemy fighters infiltrate our territory, has to do with the National Defense. Build MURO with M!" He added on Twitter. On Thursday, Defense Department spokeswoman Dana White said that Mattis discussed the idea with Trump but gave no details about the outcome of the meeting.